Palm Beach County was looking for a focal point between the Historic 1916 Courthouse and the County Governmental Building by creating a useful public space. 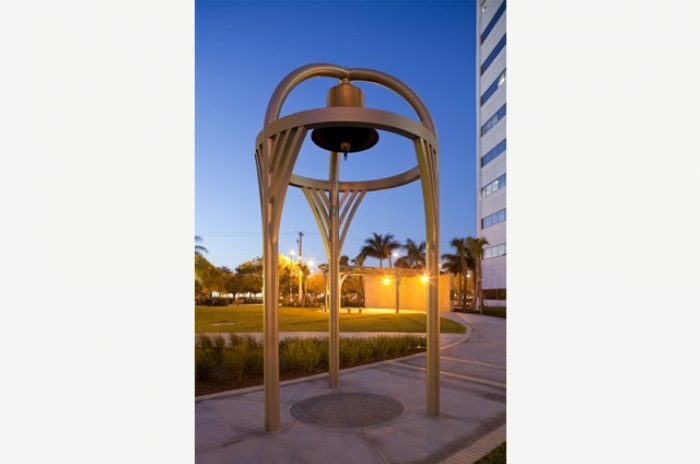 An artist from Tucson Arizona was selected to design the outdoor space along with M3 for the structural engineering services for the centennial bell tower and shade canopy. 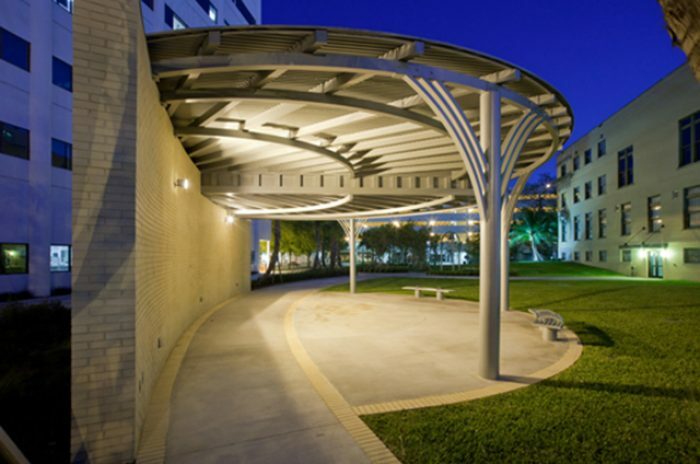 Due to its unique nature, the shade canopy design encountered many challenges. With the site location about one mile inland from the Atlantic Coast and hurricane wind loads, the aluminum alloy was the choice material due to its non-corrosive characteristics. A 3D finite element model was developed to assess the deformations and stress distributions in the aluminum members. The artist’s vision incorporated small, elegant members to reflect palm fronds. Between large spans, high wind loading, and welded aluminum properties creating the artist’s intent was a challenge. The members in areas of high stress required thicker walls in order to keep consistent outside tube dimensions throughout the project. 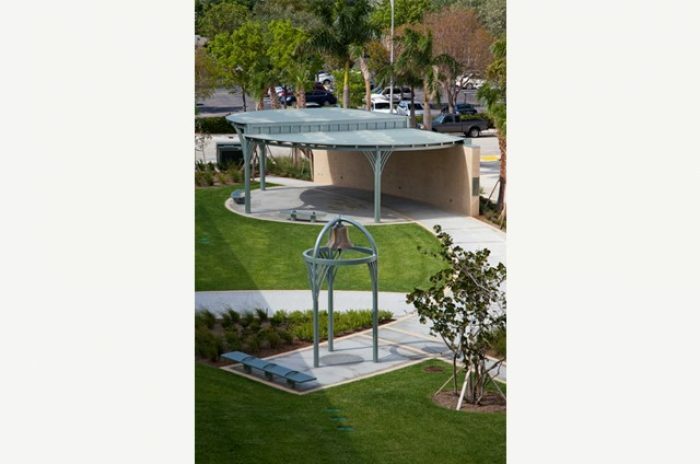 The shade canopy construction ran smoothly and the completed artwork will serve the community well.